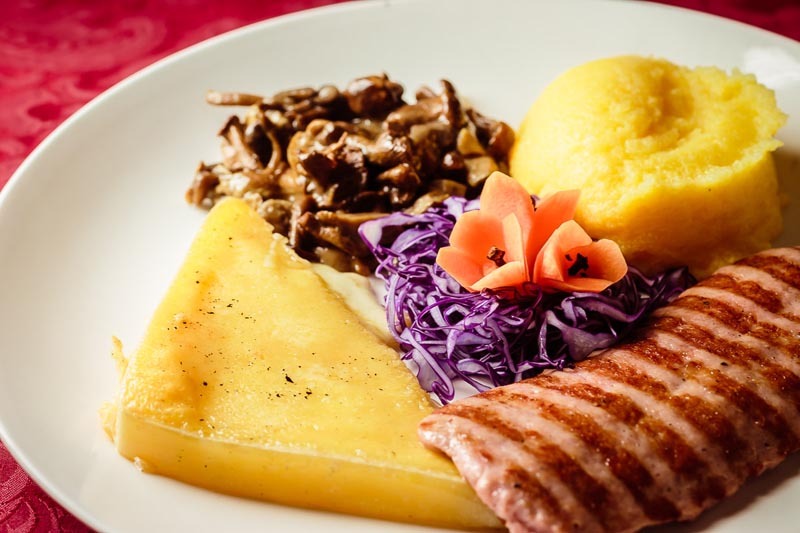 Casunziei are stuffed ravioli typical of Cortina d’ Ampezzo, and every grandmother has her own trusted recipe. 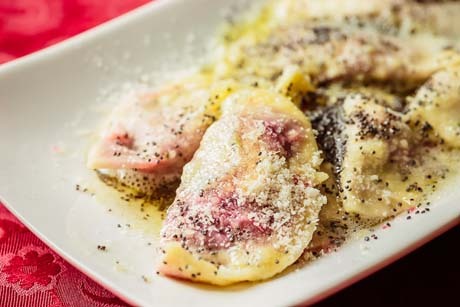 The most famous ones are stuffed with red beets and served with melted butter and poppy seeds: the sweet filling gives the dish a very distinctive flavor. Definitely worth trying. The ingredients are flour, eggs, red beets, potatoes, bread crumbs, salt, pepper, nutmeg, cinnamon, olive oil, butter, parmesan cheese, and poppy seeds. Green casunziei are ravioli with a more classic flavor than the traditional ones stuffed with red beets. 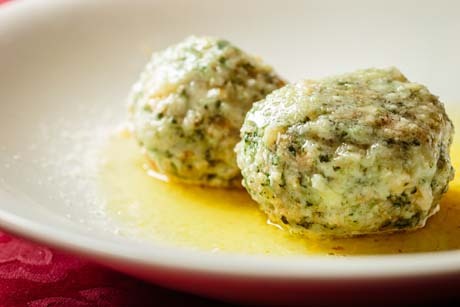 They are made with spinach, ricotta cheese, butter, chives, and cheese, and are made by hand. The restaurant 5 Torri are serve them with smoked ricotta cheese and melted butter. A true delight. Among the most well-known and appreciated dishes of the local cuisine, canederli or Knödel belong to the traditional Tyrolean cuisine. 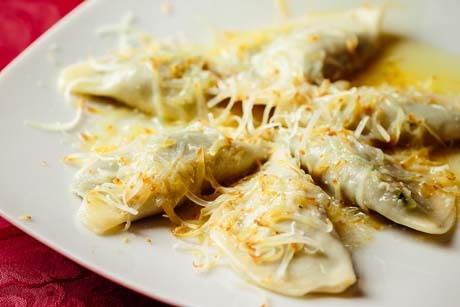 They are bread dumplings stuffed with speck or cheese, served either in broth or “dry” with melted butter. Born in ancient times as a poor man’s dish in order to reuse leftover bread, they arrived to the present day and adapted to our time. You can now find all kinds of canederli, with many different fillings. The Restaurant 5 Torri offers the classic ones, with speck or cheese, served in broth, and the spinach ones served with melted butter. Spätzle are little dumplings of the traditional Tyrolean cuisine; they have a distinctive shape obtained by sifting the dough through a special grater before dropping them into boiling water. The secret of their delicate flavor depends on the simplicity of the dough, consisting of spinach, flour, eggs, and water. Generally spätzle are served as a side dish with game, but they are also excellent as a main dish, served with melted butter. 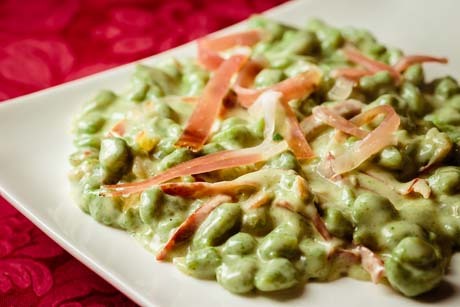 The Restaurant 5 Torri serves a delicious entrée of spinach spätzle served with gorgonzola cheese and speck. 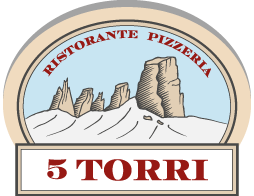 The Restaurant 5 Torri’s menu meets everyone’s needs. For those who want to taste a bit of everything we invented a unique dish, with a rich and strong taste: it’s the house special piatto della casa, with polenta, mushrooms, melted cheese and grilled pork sausage. 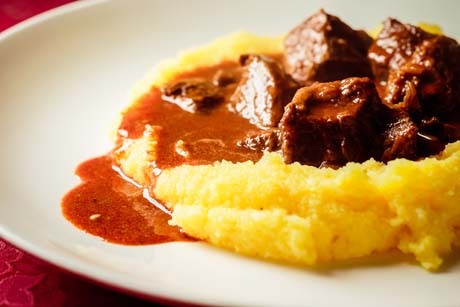 Found in every traditional mountain cuisine, goulash, a beef stew typical of Hungary, is a hearty dish with a strong flavor. The Restaurant 5 Torri makes it the Hungarian way, with neck of beef and a side of polenta, complete with a spicy sauce made ​​with onion, paprika, and red wine.